Egg, beef, hashbrowns, cheese—all the food groups covered. Top Round Roast Beef, the restaurant that saved us from ever having to eat Arby’s again, is set to launch their new breakfast menu next week. And to celebrate, they’ll be giving away free breakfast sandwiches on Tuesday, February 9, from 8:30 a.m. – 10:30 a.m. The new breakfast menu will be served daily, starting at 6:00 a.m., and will feature four egg sandwiches. 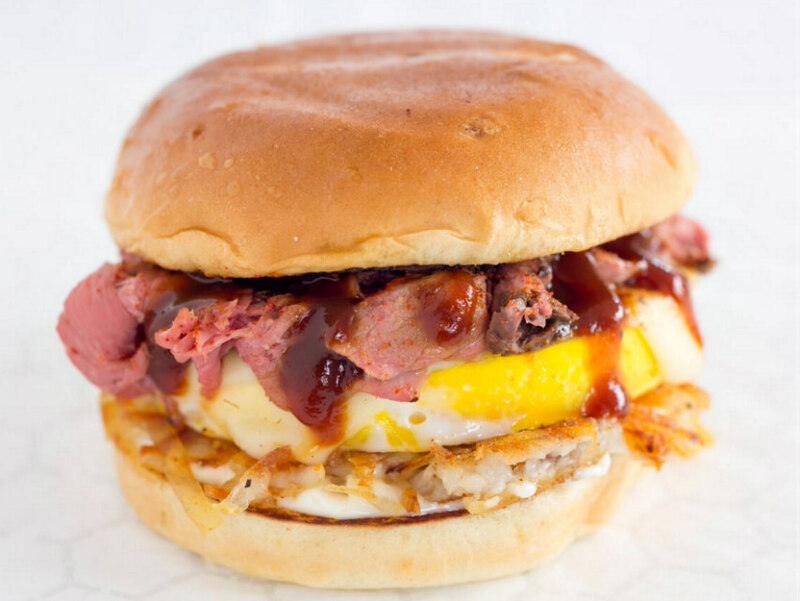 Roast beef shows up on a few of them, including the Steak & Egg, which is stacked with hash browns and housemade cheese “wizz” on a onion bun, and The Classic, a similar deal served on an english muffin. Sausage is also an option. Sounds decadent, but they’ve got one with avocado and tomato for all you health nuts. 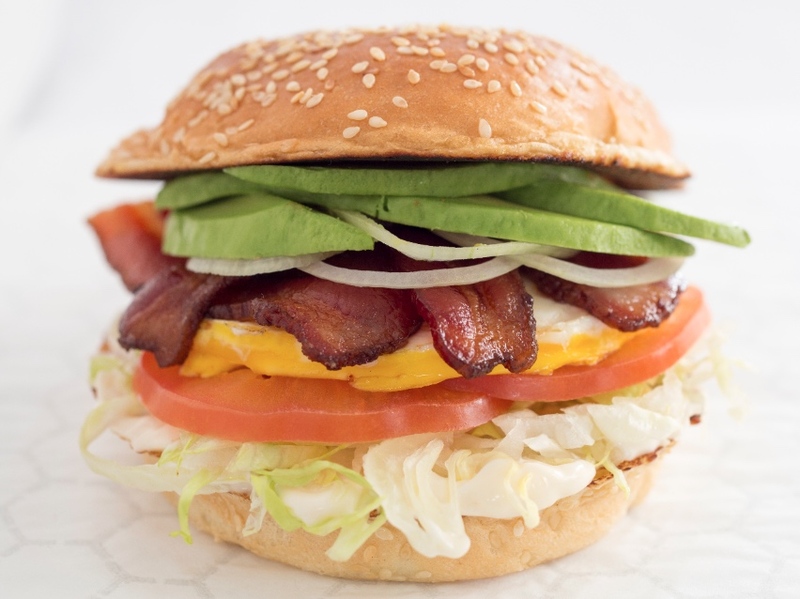 Just kidding—it has bacon, which the chefs tell us is double smoked. Along with those eggs, there’s also tater tots, cheese tots, fresh-squeezed orange juice and LaMill coffee. Brace yourself. Top Round Roast Beef, 1000 South La Brea, 323-549-9445.